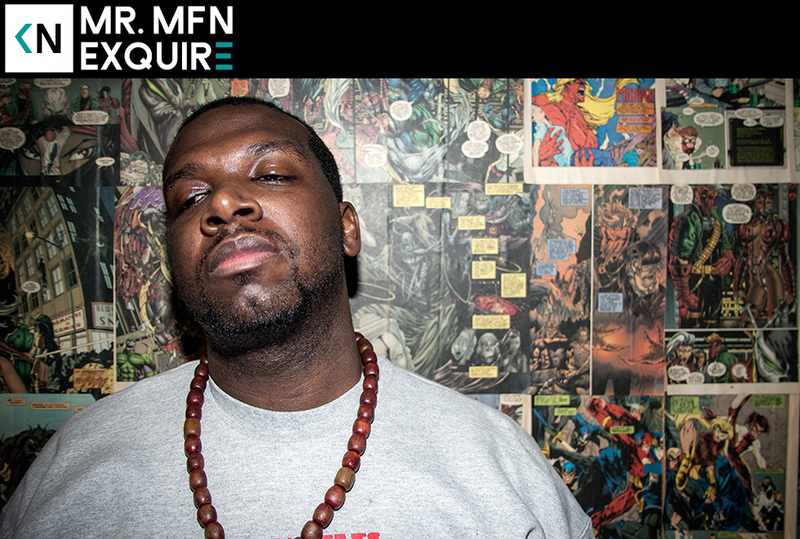 Mr. MFN Exquire had a palpable buzz in 2011. The video for “Huzzah” was so raw, grimy, and stylized. It skyrocketed him into the limelight of every major music publicatiom. Every rap fan I knew was excited by his potential. Then, somewhat surprisingly, he signed with a major. Things seemed to get a bit quieter. From the outside looking in it seemed like the label didn’t know what to do with him. Eventually he announced he was no longer signed to Universal. I find the early 2010’s to be an amazingly interesting time in music. The labels really started to see themselves losing their stronghold and began trying to get their hands on anything that was building a buzz on the internet. I havent been outside of my garage since Kismet came out. Peace Love Respect and Thank You to the God eXquire. good podcast lee, always enjoy listening to them. but why don’t you upload them onto soundcloud? the current thing you use is kind of annoying cuz you can’t go back or see how long the podcast is. just my input. keep up the good work.